All good things must come to an end. It’s even better when evil things end, right? Well this is kinda both of those things. 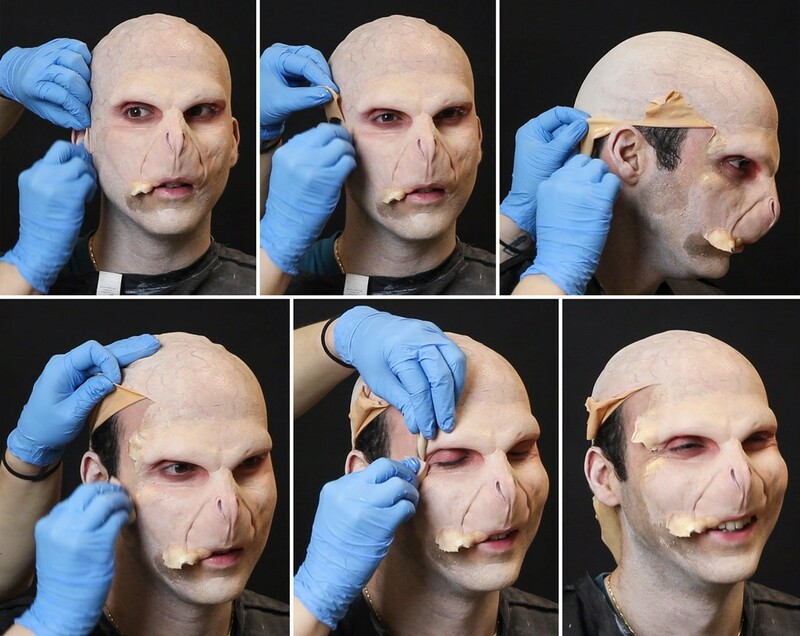 This epic Voldemort makeup look was enchanting while it lasted. But also Voldemort was really evil and he had to be stopped. Plus, Halloween is just one day and at some point it is time to remove the makeup and get on with our regular plain-faced lives. So watch us destroy this look and take down the Dark Lord forever! 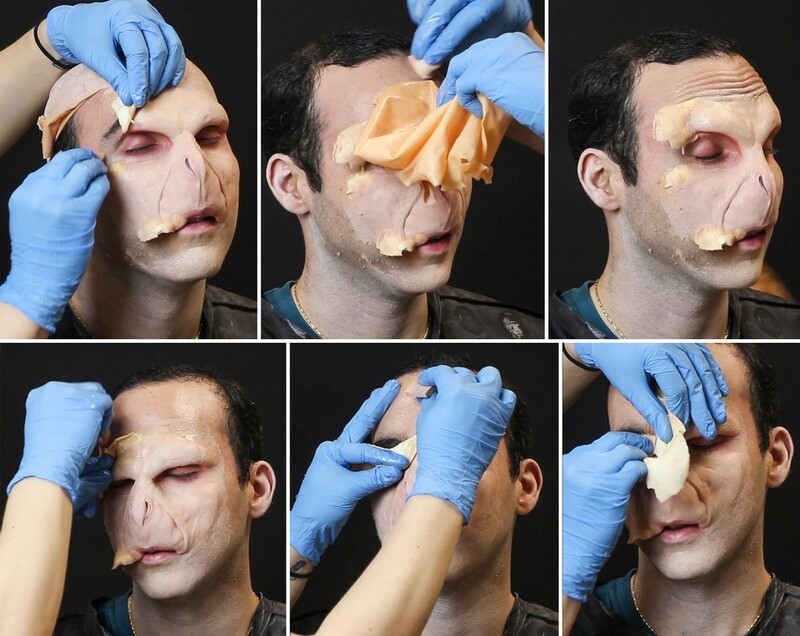 Let’s pretend for a bit that you have a face full of makeup with a glued-on foam SFX prosthetic and you are ready to remove it. You could just pull it off but if you have sensitive skin, used an extraordinary amount of adhesive, or if you have peach fuzz facial hair, we would not recommend yanking that thing off like a band-aid. Depending on the adhesive you used to apply the prosthetic, will determine the proper solvent. Spirit gum or Pros-Aide for example, each have their own specific remover. Spirit gum can be removed with isopropyl alcohol as well, but that may irritate your skin if used over large areas. 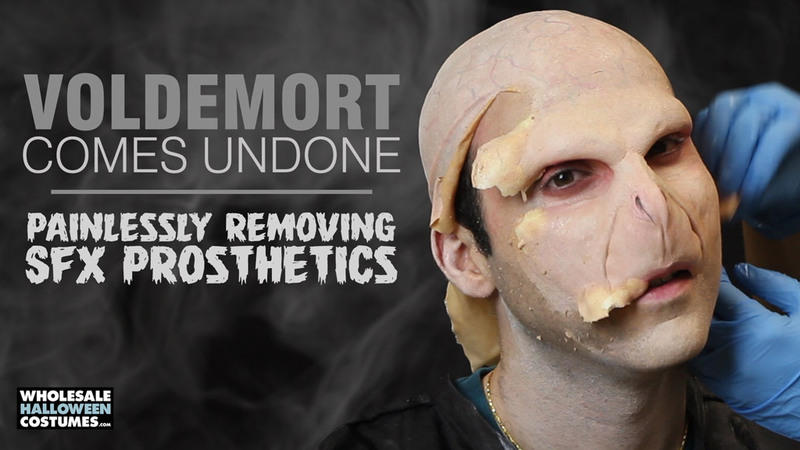 Watch the video to see Voldemort’s undoing or keep scrolling to see the step-by-step removal process below. Start with a clean sponge and drench it with a good amount of the proper adhesive remover. Find a little edge and start trying to lift it and dab it with the drenched sponge. As the edge comes free, gently pull away from the skin and dab the glue line as you reveal more of the skin beneath. You can attack from another edge while some of the remover soaks into the spot where you started. Work your way around the edge lifting and dabbing as you go. Use extra caution near the sensitive skin around the eyes. Work slowly around any areas with a lot of hair so you don’t end up missing important facial features! 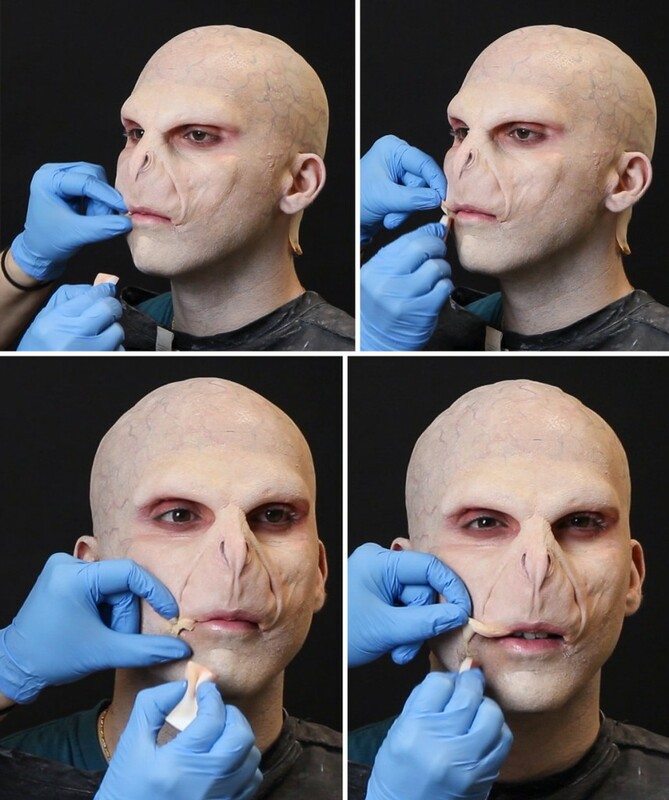 The inner eye socket can be tricky- you’ll need to get the sponge in there to help release the prosthetic. Continue reapplying remover and soaking the sponge as you progress around all of the edges. Tear off any large flaps to help get them out of the way as you work. 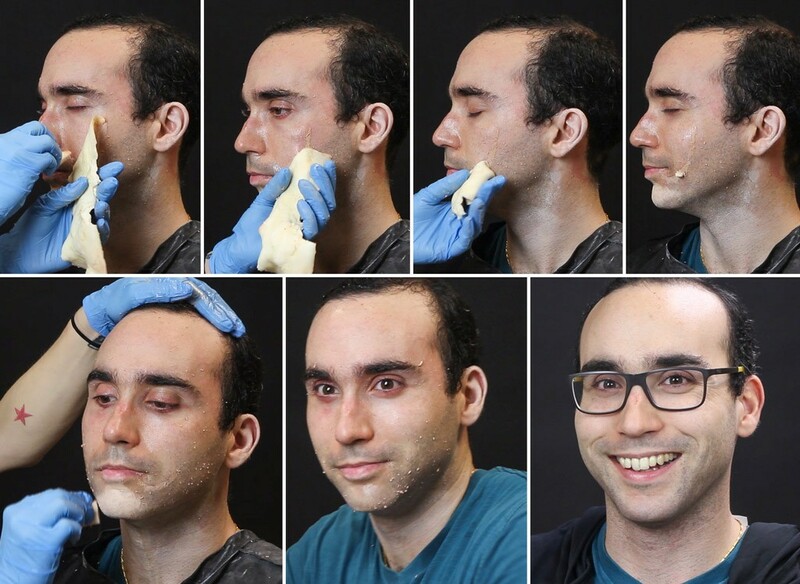 When it’s finally removed the sense of relief on the model’s face will be thanks enough for your slow and patient work at removing the thing that has been glued to their face for hours. Regular makeup remover and face wash will be all your model needs to get back to their freshest self. Subscribe and see all our videos on our YouTube Channel and connect with us on Facebook, Twitter, and Instagram!